The enterprise called greenBUG trains women’s groups to make upcycled, biodegradable dustbin liners. You’ve seen the black bags that are used to store and discard trash. You may also have seen the green bags that claim to be biodegradable. But imagine a garbage bag made of paper and all-purpose flour (maida)… eco-friendly, made from recycled newspaper and biodegradable. 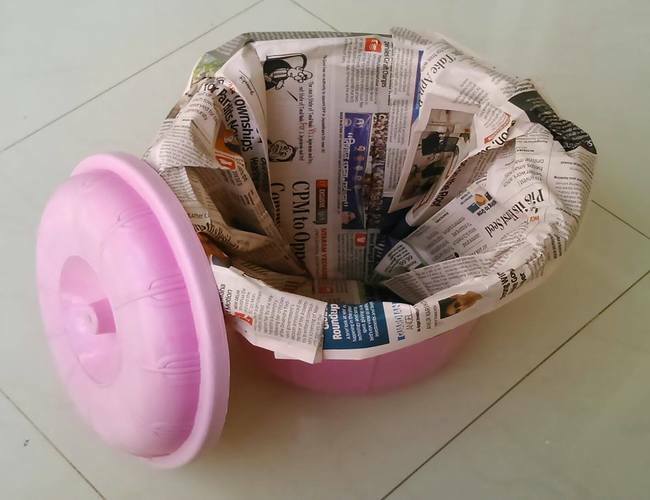 It may sound too good to be true, but thanks to a Bengaluru-based company greenBUG, these eco-friendly dustbin liners are a real alternative to the conventional plastic ones. 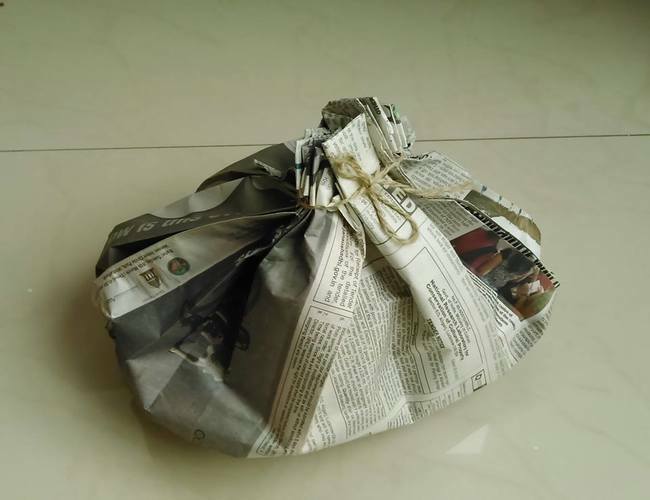 The three-year-old company supplies these bin liners to around 15 retail outlets in Bengaluru, not including their online delivery service. Apart from being environment-friendly, the products are also made by women from low-income backgrounds, providing them with supplementary income. It all began when Arun Balachandran (44), a management consultant, decided to look for an eco-friendly option for garbage bags to use in their home. Not finding a satisfactory alternative to plastic, he decided to make one himself. Little did he know that what began as a home-based project would turn into a social enterprise helmed by Arun, and his wife, Jyoti (43). It wasn’t easy though. It took several attempts for them to come up with strong bags that could handle kitchen waste. And when they did, the feedback they received from their family and friends prompted them to turn this into a business. A friend also suggested that they should look into involving vulnerable women from Madanapalle mandal in Andhra Pradesh and turn this into a social enterprise. This posed another challenge for the couple – figuring out a simple manufacturing process which these women would find easy to follow. Arun and Jyoti’s attempts to work with the women in a Madanapalle village however, were riddled with hurdles. For starters, they realised that the men of the community were not on board with the idea of women working. “The men wouldn’t help the women in transporting the bags to the pick-up point in the town, and the additional transport costs made the project unsustainable,” says Arun. Arun and Jyoti then decided to approach women in Bengaluru through an NGO. They reached out to Association for Promoting Social Action (APSA), which works for community development. APSA seemed keen on the idea and connected the couple to women from low-income backgrounds in different parts of the city. So far, greenBUG has trained about 100 women in areas including Jayanagar, Koramangala, Doddakannelli and Kanakapura. 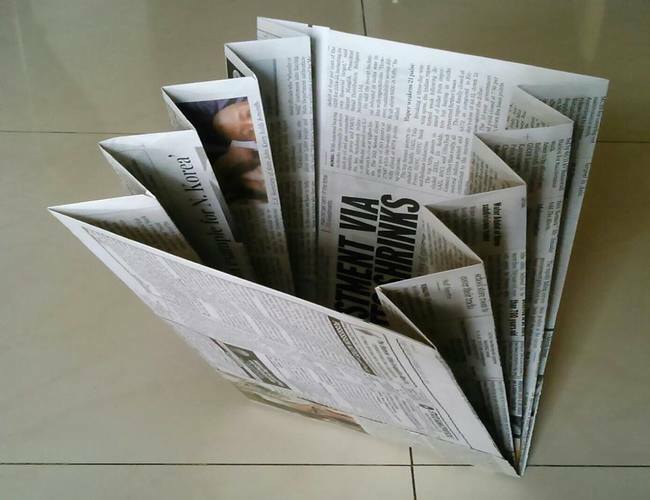 The process seems simple enough – women need only newspaper, maida and a stencil to make the folds in the bags, and the tie-strings are made of jute. The maida is used in place of traditional glue to hold the bag together. “We are strictly opposed to stuff like fevicol, because we want the products to be 100% biodegradable,” Arun explains. After each training, the women are asked to make a few bags, and in the subsequent sessions, any errors are rectified and feedback is provided. Arun also added that greenBUG neither imposes production targets on the workers, nor penalises them for low production. “Our program is designed to accommodate women who have many other obligations and may not have complete control over their time. Their other income options are often exploitative. We knew when we started out that we did not want to work that way. We try to give them fair wages”, he adds.